Partnering with software vendors is fairly common practice for large hardware manufacturers. Laptop makers frequently pre-install bloatware in return for some sizable payouts and smartphone OEMs are no different. Samsung is now installing McAfee antivirus software on its 2019 TV lineup. Samsung is claiming something to the effect of wanting to protect users from malware. On the surface that makes sense, but Samsung is running its very own Tizen OS on all TVs. Instead of adding more junk to a TV, why not just improve the OS? The answer though is self-explanatory. 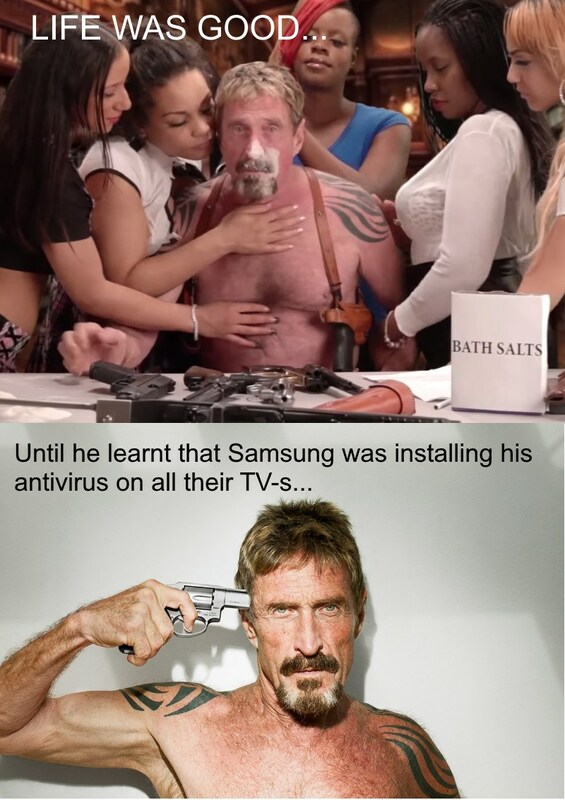 Samsung would not receive a payout from McAfee if it did not install the unneeded software. Officially, here is Samsung's statement on the matter. McAfee extended its contract to have McAfee Security for TV technology pre-installed on all Samsung Smart TVs produced in 2019. 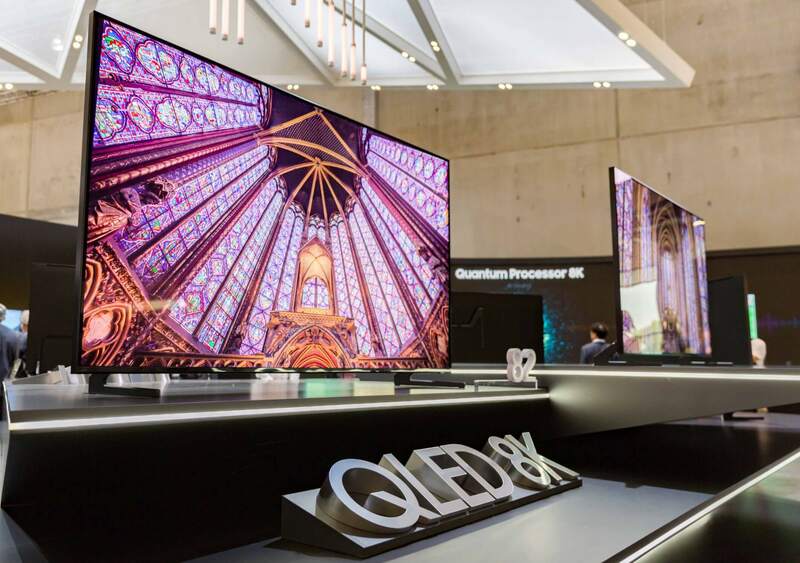 Along with being the market leader in the Smart TV category worldwide, Samsung is also the first company to pre-install security on these devices, underscoring its commitment to building security in from the start. McAfee Security for TV scans the apps that run on Samsung smart TVs to identify and remove malware. Downloading and installing apps on most TVs is a tedious process that most users are not doing very frequently. Well known apps such as Netflix and Hulu come pre-installed on most TVs regardless of brand, making it unnecessary for most users to ever even look at what other apps are available. It may not be a big deal to have extra bloatware on a TV, but it is something undesirable and might burn a little more power for no actual benefit. If someone is going to take the time to target Tizen with malware and knowing that McAfee is pre=installed, there is little reason to believe a developer would not take the extra time to ensure detection does not happen. The real question is: can this be removed by the end user? Underdog, QuantumPhysics, ghostf1re and 9 others like this. Looks like my 2018 Samsung TV is the very last one that I will ever buy from Samsung. ghostf1re, Burty117, max0x7ba and 1 other person like this. My next TV won't be Samsung. McAffee isn't even any good anymore. NightAntilli, jobeard, erickmendes and 2 others like this. It's doubtful it can be removed, but you should be able to block it's network usage. I was going to pre order a Galaxy S10 until I found out they are preloading McAfee on the devices. Just ditched the note 9 for iphone, looks like I am not buying their TVs anymore either, oh well LG for the win. Drew Valadez and erickmendes like this. If you say so, Apple is not bloated and it always works. never lags and supported for 5+ years. All other andriods will get dropped in a year. Working in IT 50+ hrs a week, I want my things to work with minimal interference. That can't be expected on andriod. ghostf1re and Squid Surprise like this. What nonsense. "Never lags" - I nearly spat my tea. "Supported for 5 years" - A 5 year old Apple device is basically unusable - 1 because the battery is ruined and can't be replaced and 2 because Apple's delightful practice of crippling old devices in software updates. If you could at least spell the OS you are talking nonsense about it might lend it a little more credence (not much) or is that some incredibly witty way of talking it down that I missed out on? Underdog and Drew Valadez like this. Ah, so you use 5 year old Apple devices regularly then. OK, j/k it's clear you don't but want to rant anyways. It's the internet, that's what we do right? Mrs. Zealand uses a 5 year old Apple device and it's not fast, any Geekbench comparo with an Xs will tell you that. But the battery lasts through most days (not all) and her device works well and is not "crippled." But you go and enjoy your narrative. Yay! An anti-virus software tweaked by Samsung to include root kits, tracking, and that hidden camera update!! "spat my tea" lmao what kind of 3rd world crap is this. PATHETIC. Use an andriod that was released in 2012 wont even touch its heels. That's an iPhone 5, no longer supported by Apple and an older device. Nice try. Try using a Note 2 or S4 right now. Straight up laggy mess. Not entirely true, as the Apple Store will still DL and install Apps. Just replace the battery my self and it runs just fine. True, you can't buy a new one however. Wait. Did we end up on the same side of the discussion? Mrs. Zealand uses a iP5s. BTW we still use a iP5 as an iPod (cell service off) around the house but it's battery is not very dependable any more. Understandable 6 years later and I did get it used 4 years ago. S6 still get's security updates so thats a lie. iPhones never lag is a lie too. Apple is not bloated so why are people putting everything in one folder they never use? I think you had a bit of a lie there as well. Long time Android user and I don't see how it interferes with my work. Shouldnt all those updates mean you get more interference? And can you please come back to the real world? And most likely it's not as simple as just going to CONTROL PANEL: Add/ Remove Programs. I personally prefer Vizio 4K smart TV models. I have a 42" a 50", and an 80". It never occurred to me that people would be malicious enough to attack televisions which themselves hide no personal data. I've never had a problem with mine. Samsung has been slipping for years. This is the nail in the coffin. Must be an Intel chip in that thing.